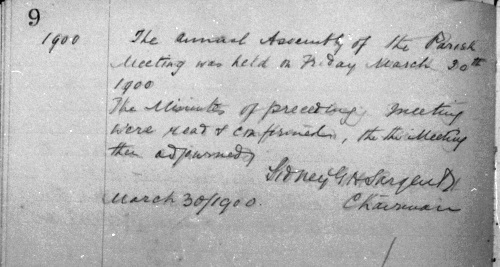 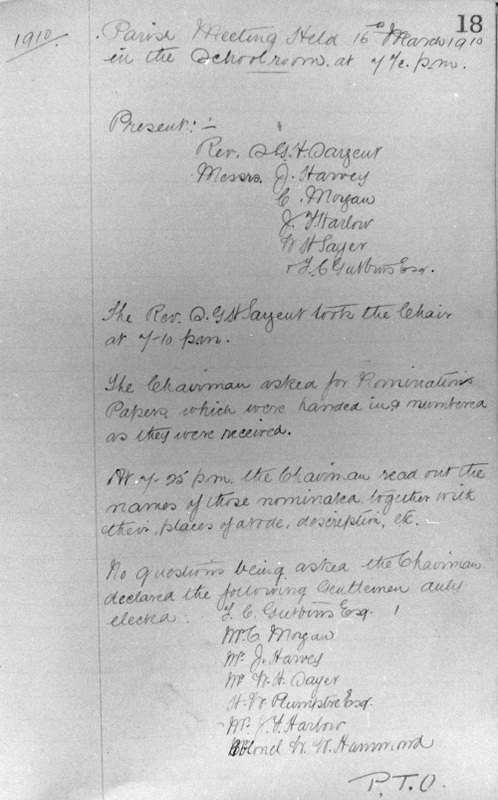 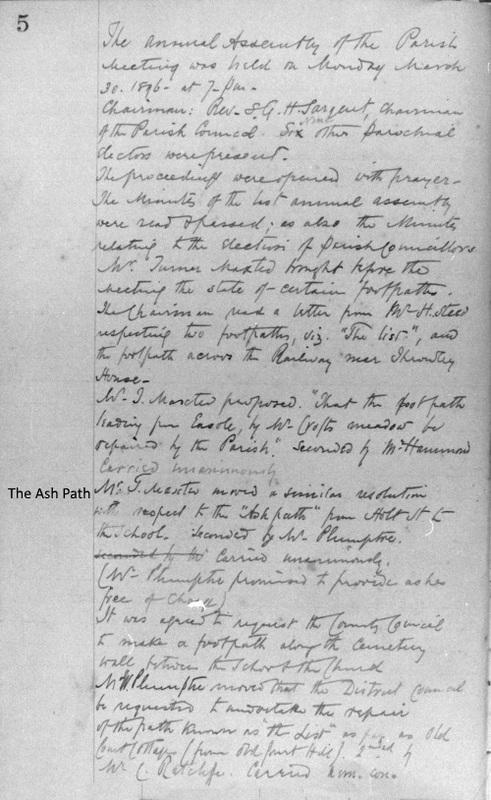 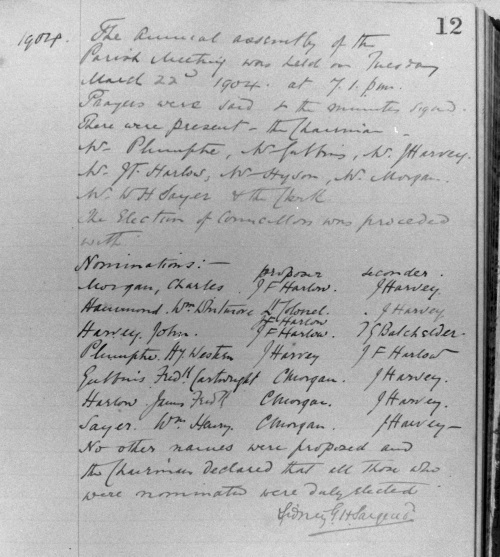 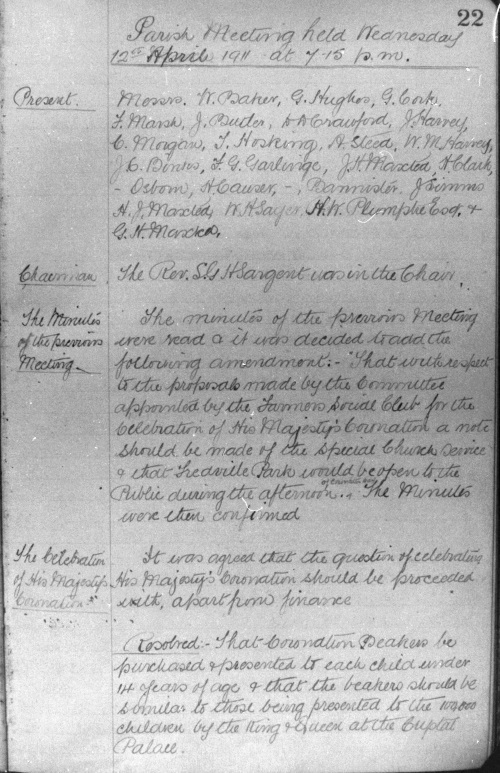 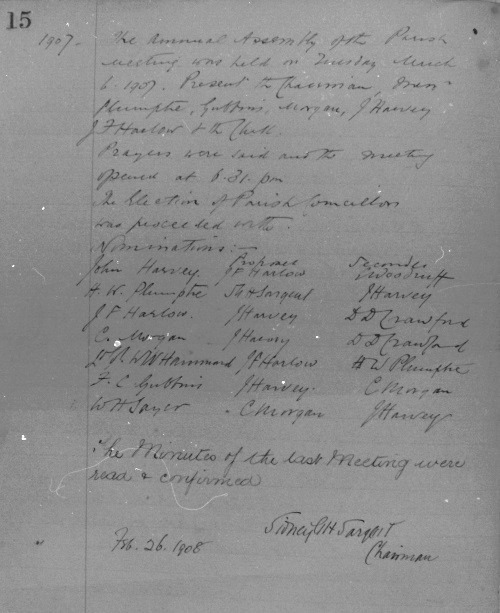 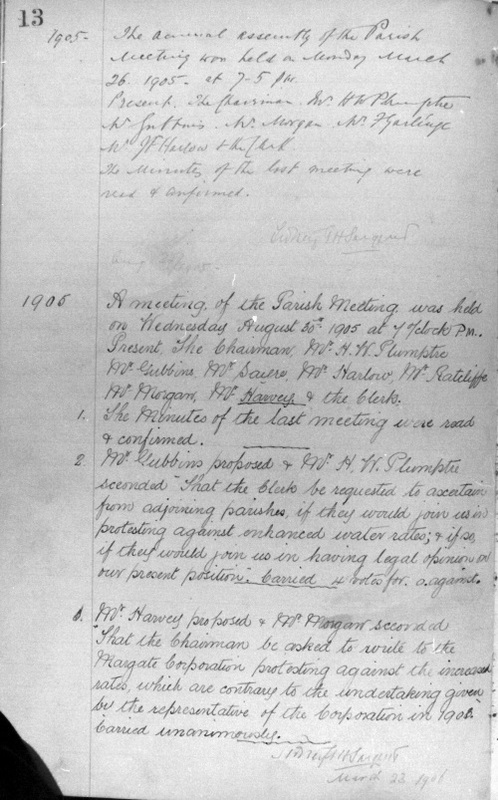 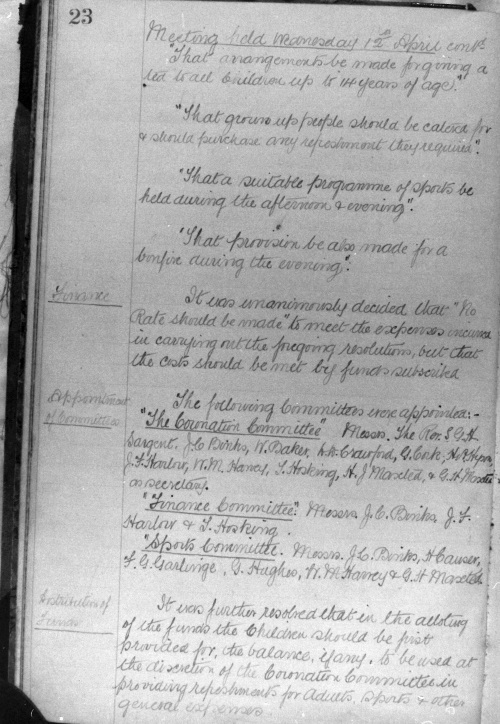 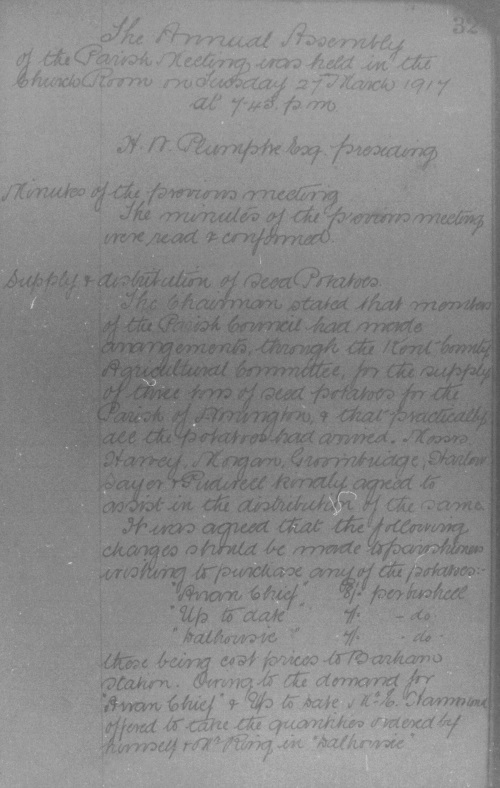 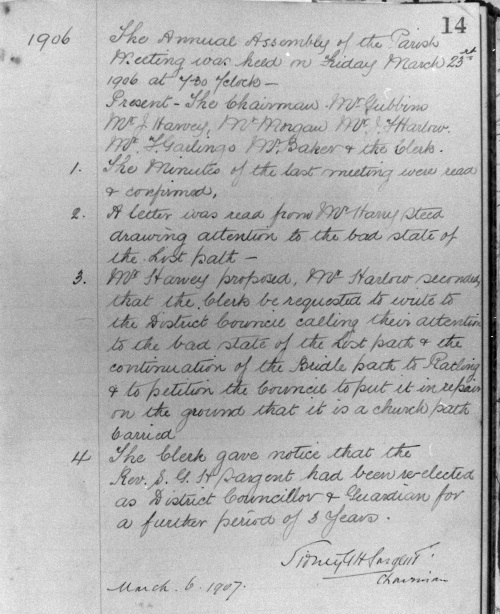 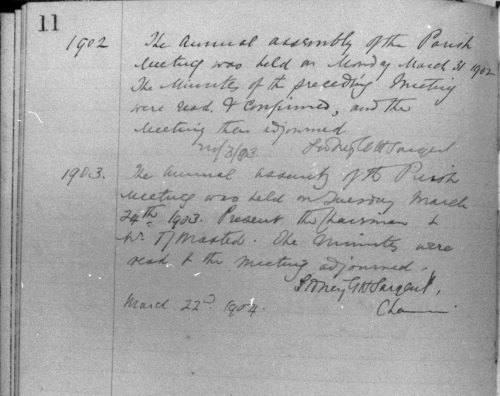 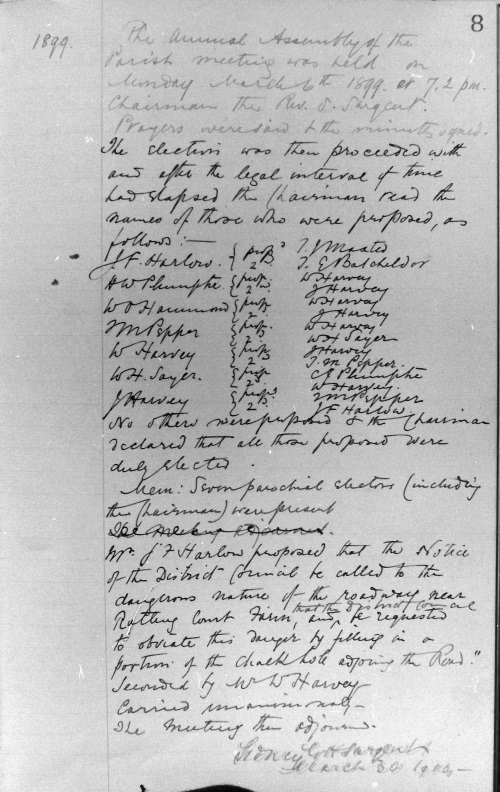 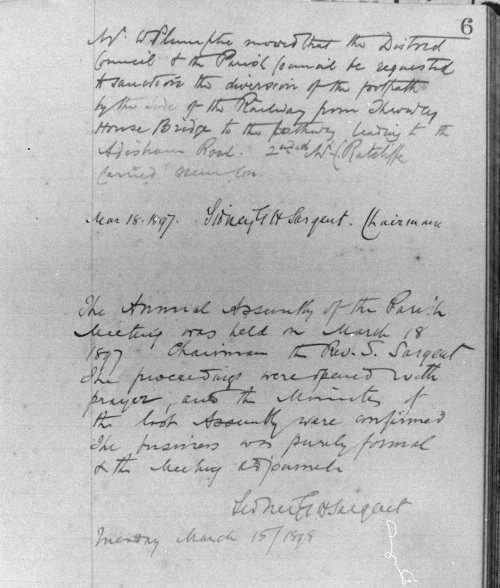 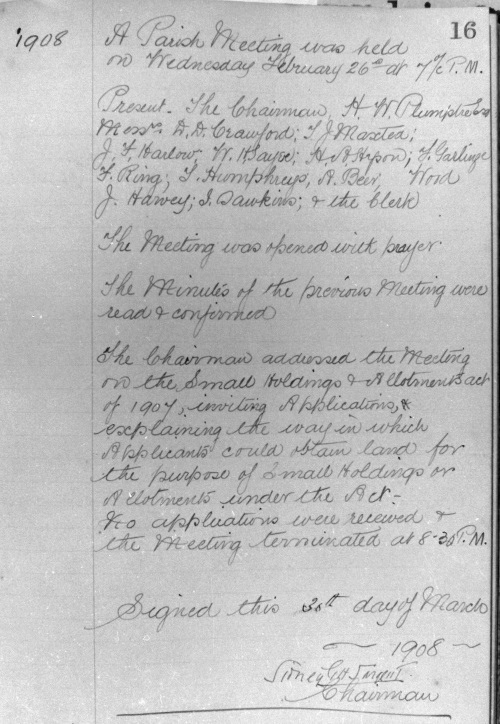 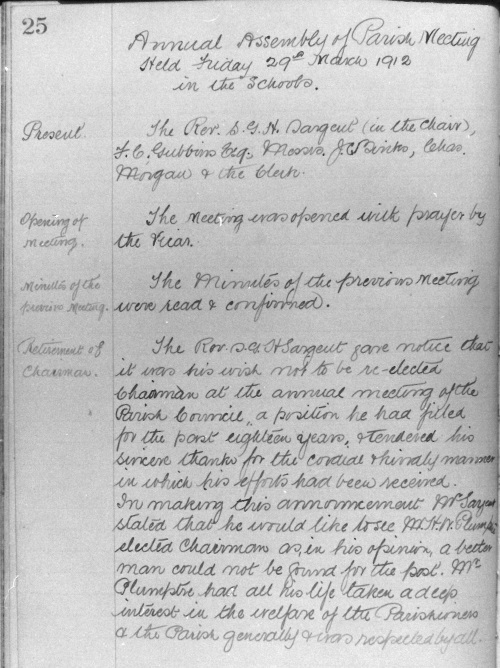 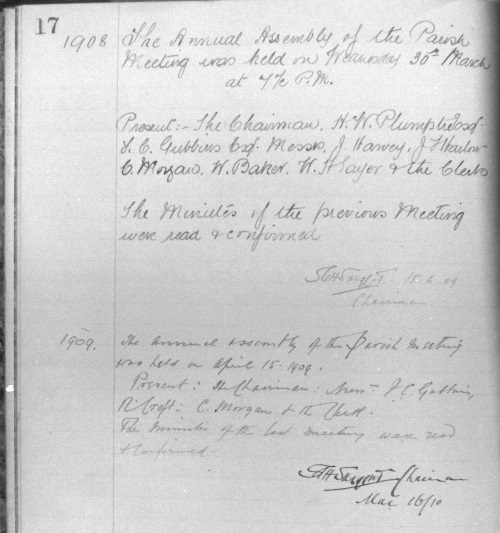 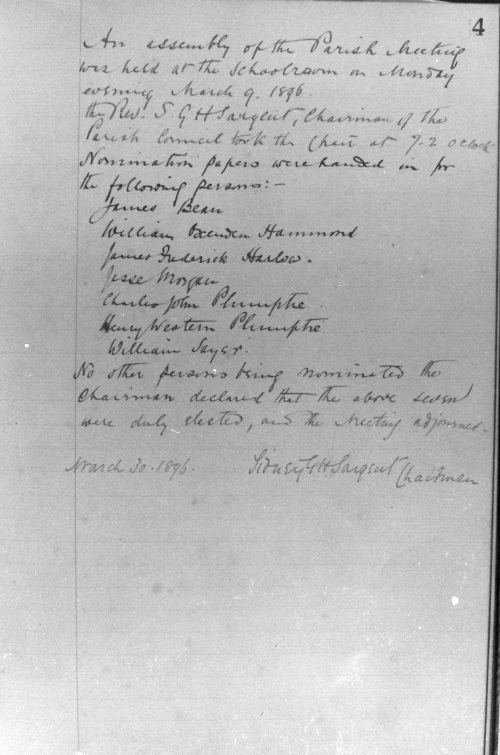 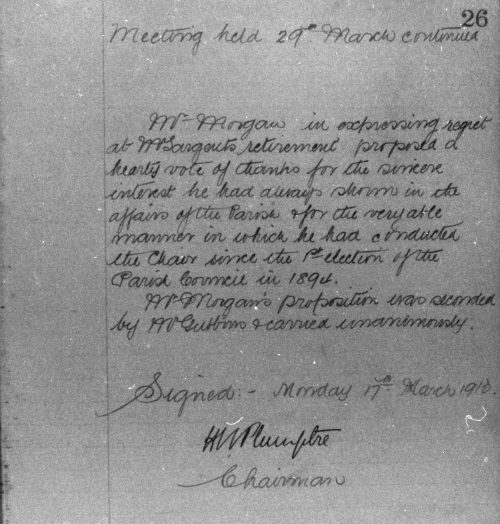 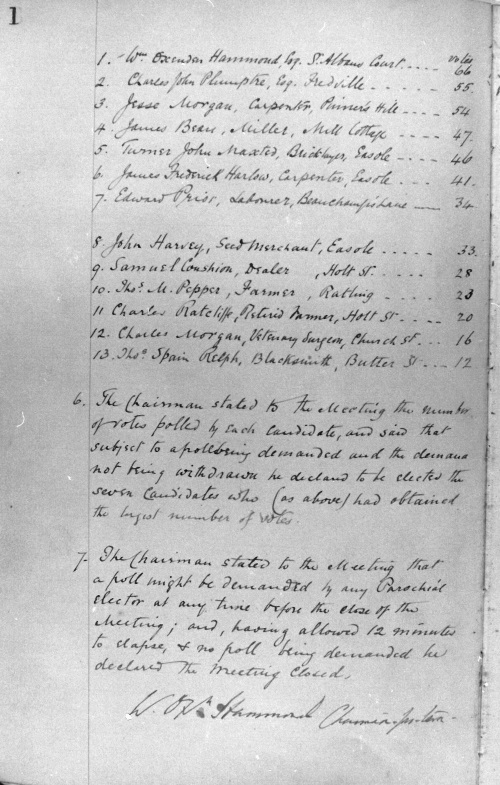 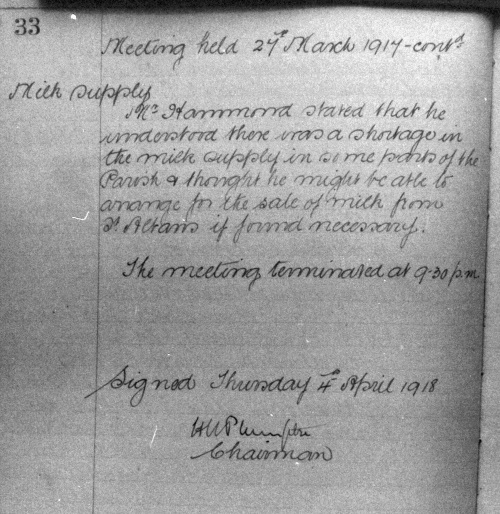 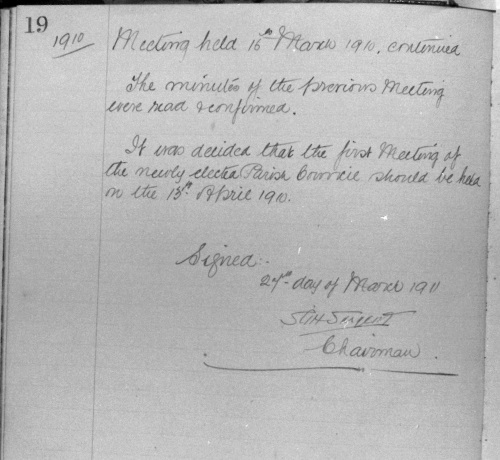 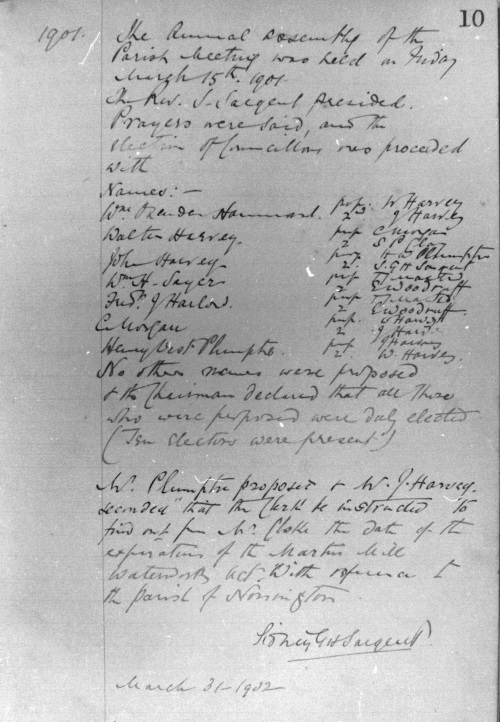 The following pages 1-33 are copies taken from the minute book of the Nonington Parish Meeting, or Parish Council, which replaced the parish Vestry after the passing of the Local Government Act of 1894. 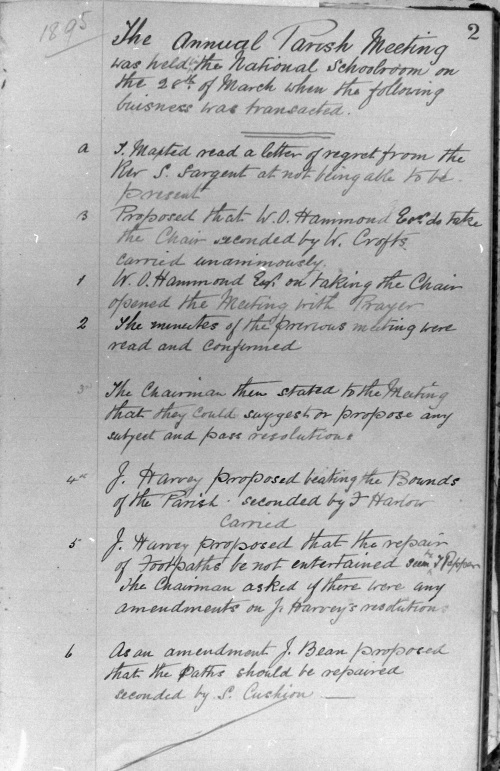 Pages 27-31 are missing. 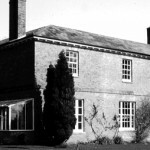 Although various forms of local government existed in Saxon and Medieval times, the kind of local government in existence today really began to evolve in the 19th century. 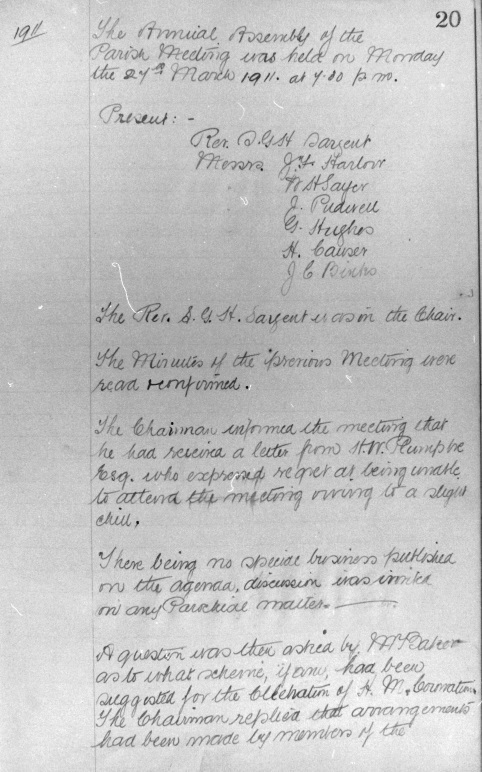 The Local Government Act of 1894 transferred from the Quarter Sessions (local courts) to the county councils the administrative and financial business of their counties. 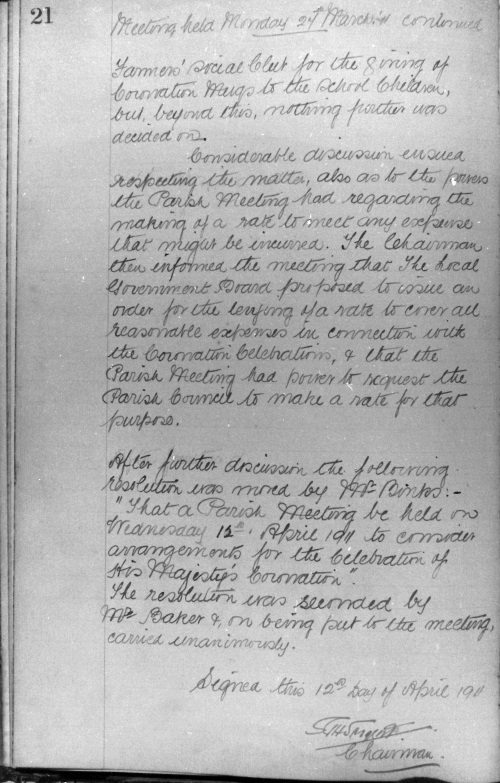 This included maintenance of roads, bridges and county buildings, assessment and levying of rates, appointment, dismissal and setting of salaries of county officers and the organisation of parliamentary elections. 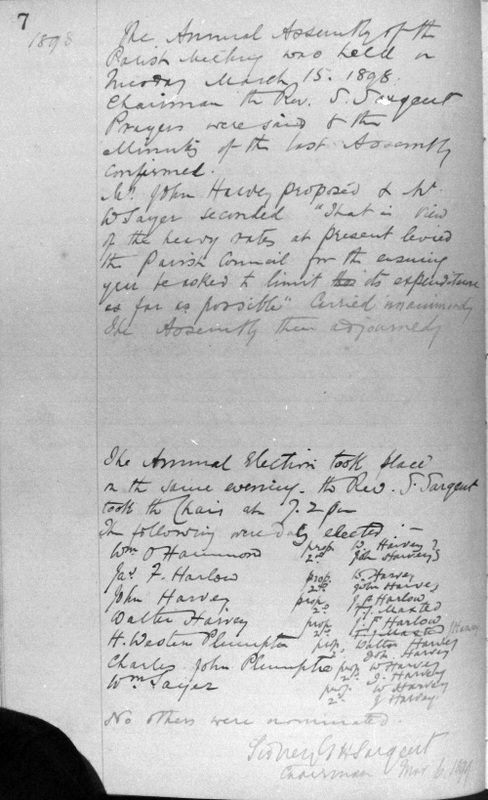 The Act also allowed county boroughs to be created: large boroughs with a population in excess of 50,000 could become an administrative county. 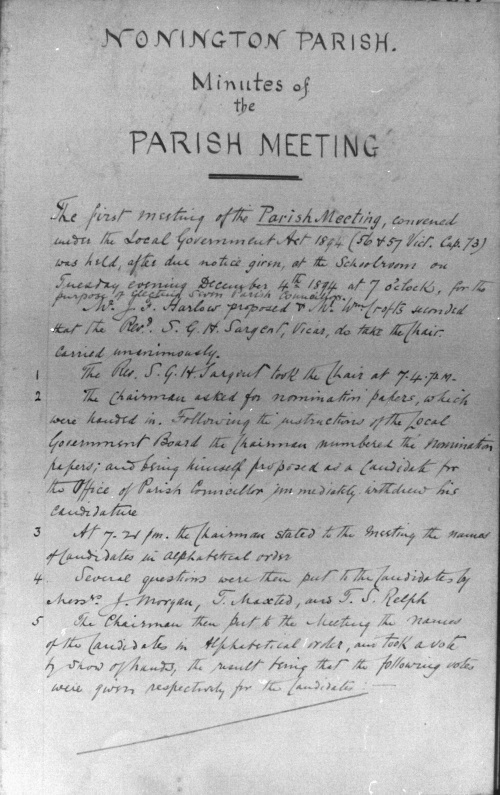 The Local Government Act 1894 provided for elected parish councils to be established in rural areas and for the creation of urban district councils and rural district councils with elected councillors. 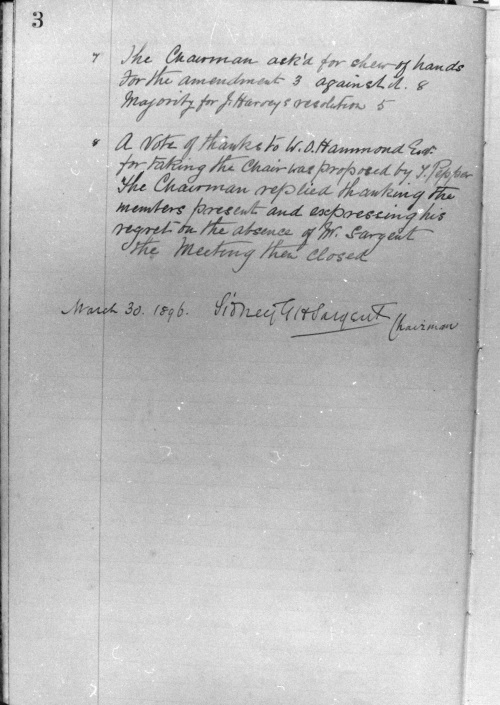 Much of the legislation of the 1888 and 1894 Acts was subsequently consolidated under the Local Government Act of 1933.